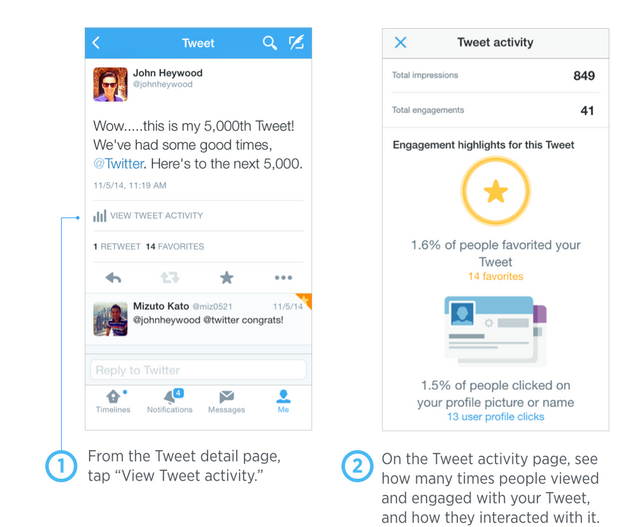 Announced, fittingly enough, via a tweet, Twitter has unveiled that it’s adding mobile analytics to its iOS app. You’ll then be presented with your standard fare of analytics information, including impressions and engagement, as well as additional information such as the percentage of people who have favorited your tweet or the number of folks visiting your profile through that tweet. There’s no word on Android support yet, but it’ll surely arrive in due time – with more users (and marketers) operating out of their mobile devices, analytics support on mobile has been long overdue.